After a few days with posts featuring real life locomotives we are back to looking at some of the model layouts of Fareham RailEx. As long term readers of the blog know, I am a big fan of the old Hayling Island Billy Line (here’s my UK Heritage Hub article on the line “Hayling Billy – 50 years on“) so I was happy to see it in model form. The layout isn’t a perfect representation of the Hayling Island terminal but is a compressed version in order to fit on a baseboard which could go to exhibitions. The layout was the first exhibition layout built by its owner and he did a great job and I was really impressed by the quality and all the operational fun you could have with such a simple track plan. Cross Ness is a OO gauge layout owned by Wealden Railway Group and depicts what might have been, if history had been but a little different. It supposes that to the East of Woolwich, Arsenal’s group development akin to that which did happen at Neasden and Dagenham took place on those sunny Thameside banks. The railway services a largely 1970s community. Having a London facing junction some through trains run as well as the branch shuttle. Adjacent to the station is a PW depot; this is served by a variety of no electric stock. Goods trains are made up and sorted here for the rest of the system and storage in the depot sidings. A car card system is employed for this and the results of the shunting may be observed in the fiddle yard. You can see what the operators is up to and how well he is doing. 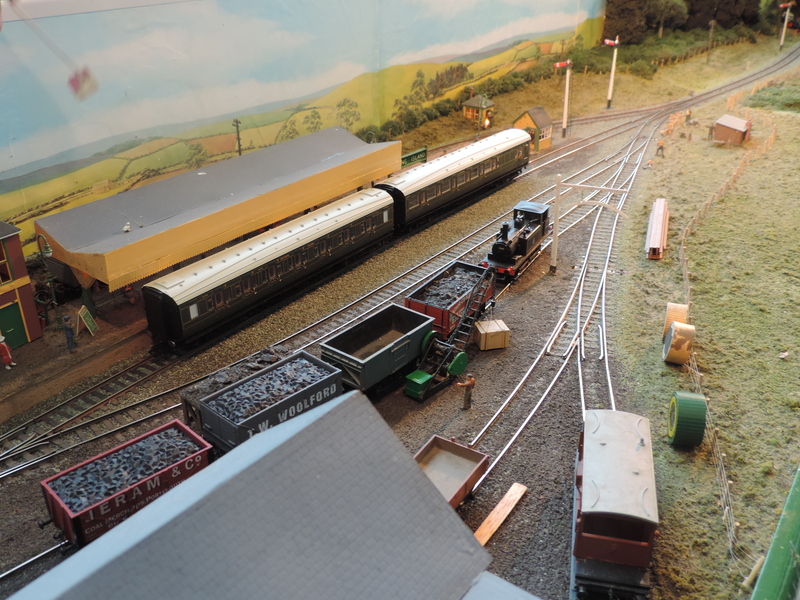 The layout has been based in the summer when refurbished EPBs were just beginning to appear in numbers. I did like this layout as the operators were really friendly and chatty plus there was also something moving on the layout which made a nice change some layouts didn’t have any moving trains for what seemed like an age. 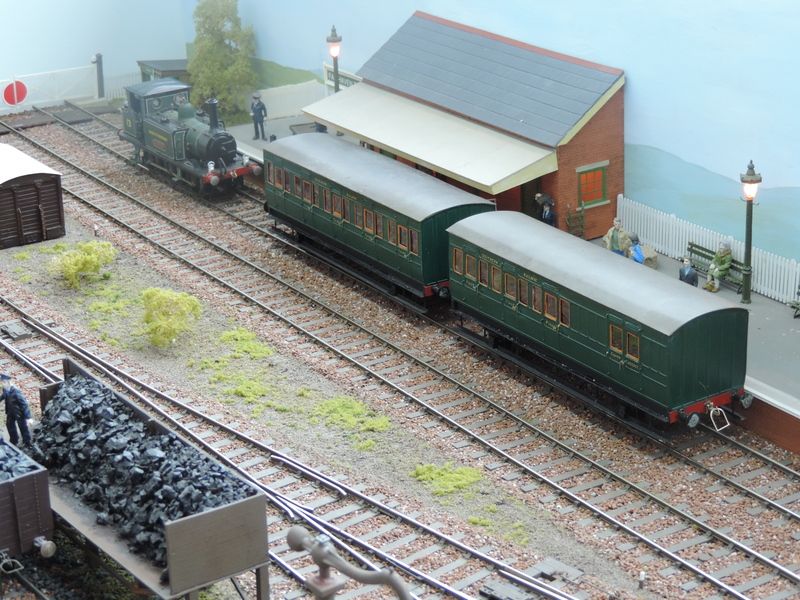 This delightful little 0 gauge layout was generously donated to the Fareham Model Railway Club by a member, together with some beautifully made locos and rolling stock. 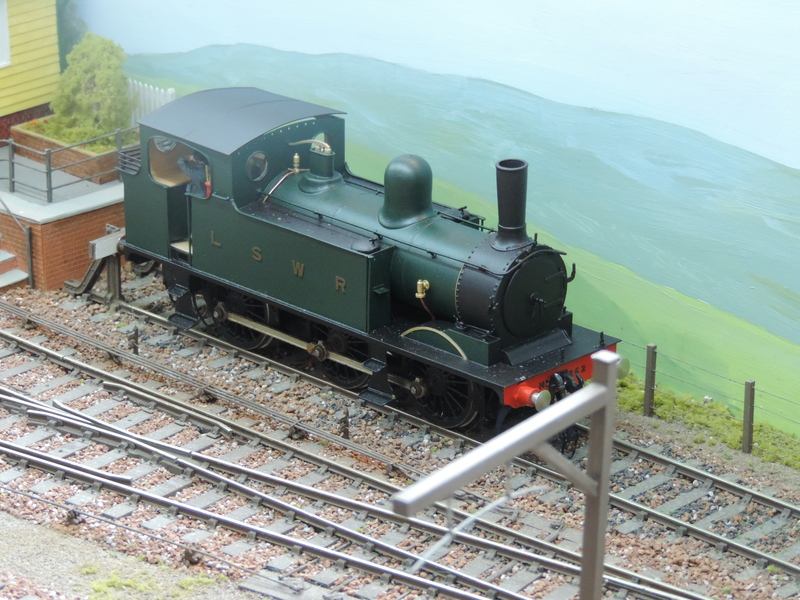 Only nine feet long, it depicts a small SR through station with goods yard and loco shed and was built in a spare bedroom with a run-round loop over the adjoining stairwell! Now that there is a bit more space available, they are planing to extend the scenic area by two feet, to increase shunting options, and adding a four foot cassette fiddle yard at one end. Future ideas cover extending the other end with another fiddle yard and making an additional section so that Fairhaven could be joined onto their larger 0 gauge layout, Middleton Junction. Features include opening loco shed doors and a starter signal controlled by slow-motion servo motors, as well as fully detailed and lit building interiors. 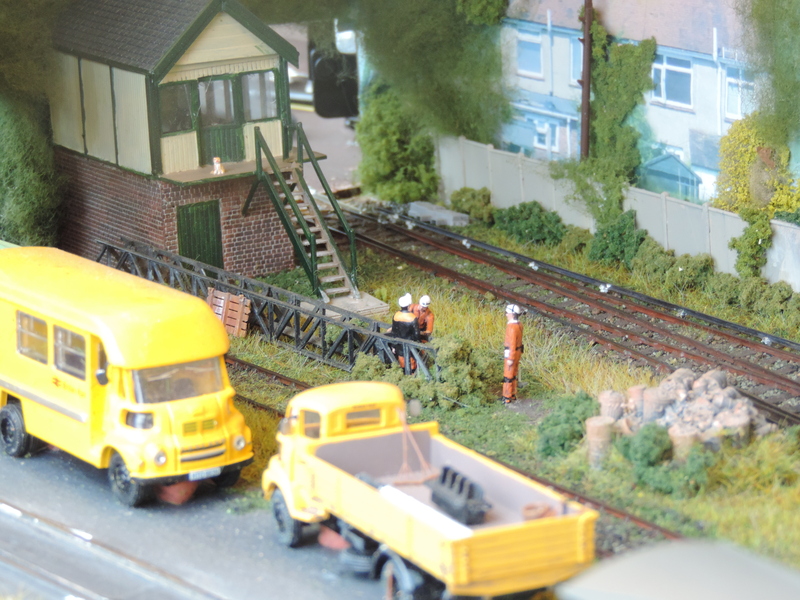 This was a lovely little layout and with some lovely little locomotives on show.